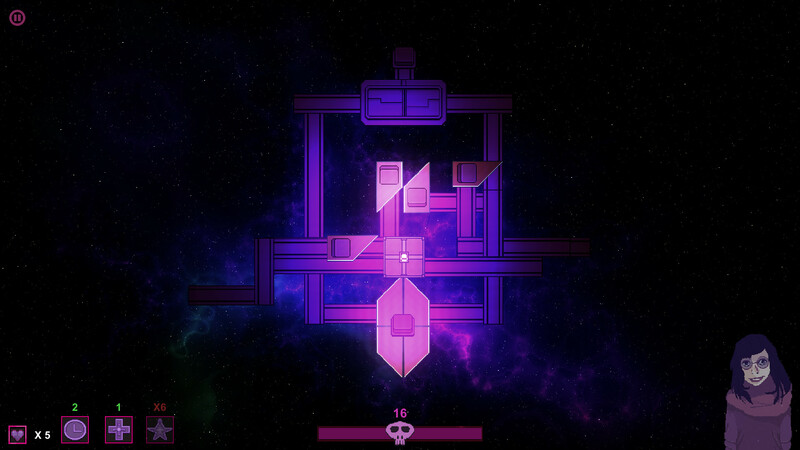 Imprint-X Hands-On: A-Hacking We Will Go In Morgondag’s Latest Trippy Indie | "DESTROY ALL FANBOYS!" There’s both a smart simplicity and hefty challenge awaiting you puzzle masters as the game goes from simple switch clicking to more advanced patter memorization and faster clicking needed to ‘catch’ moving parts of some puzzles. As with Morgondag’s stellar, strange Rymd Resa, the visual style is clean yet beautifully stylized with an intriguing soundtrack that adds to the atmosphere. I’ve only sunk a solid half hour into this so far, but my brain is getting a workout already. As reviews are embargoed until the 26th anyway (the game’s release date), you’ll all have to hold your collective breath until then. Back in a bit. This entry was posted in Commentary, DAF, Features, Humor, Updates and tagged 2017, Digital Games, Downloads, Hands-On, Imports, Imprint-X, Indie Games, Indie Gaming, Morgondag, PC, PC Games, Previews, Screenshots, STEAM, Sweden, Valve, VGA 101, Videogame Appreciation 101, Videogame Trailers, YouTube by geelw. Bookmark the permalink.